Vivo’s new reference concept pushes monobloc design to a new level and incorporates an on-screen fingerprint reader. Meizu Zero announcement last week was not a coincidence. Vivo was preparing an official announcement for Apex 2019. Like the Meizu Zero model, the Vivo Apex 2019 device is completely devoid of ports on the outside but integrates some other interesting surprises, some of which will be revealed at Mobile World Congress 2019. For the 2019 edition of its Apex concept, Vivo plays the card of minimalism. The one-piece design of this prototype smartphone is devoid of physical outlets, screen borders, buttons, and speaker grille. And it is 5G compatible. The new Vivo Apex 2019 is a real smartphone “concept.” It is not announced as a finished product yet, but only as a technological demonstration of what is possible at this time. The Apex 2019, which will probably take another name for marketing (the Apex 2018 concept has become the Vivo Nex), will be among the first smartphones equipped with SoC Snapdragon 855 supported by 12 GB of RAM. It will be associated with Qualcomm’s Snapdragon X50 5G modem. Vivo, which pioneered the integration of a fingerprint sensor under the screen with the Vivo Nex, indicates that the Apex 2019 incorporates an even more advanced technology that unlocks the phone by pressing a button anywhere on the 6.3-inch AMOLED screen. This will illuminate the pixels around the fingertip to provide additional light to the sensor. A curved glass panel covers the back of the device in all directions, the design of the phone is inspired by water droplets, this device being developed under the name of “Waterdrop”. Interestingly, as opposed to most of the devices currently available on the high-end segment, Apex 2019 has flat-panel cameras with the back cover of the phone. It seems to be a bit thicker than other models available at the moment. The reason for the increase in profile dimensions might be to integrate the 5G modem into one of the variants, a component that requires more antenna than a 4G device. OnePlus CEO Carl Pei spoke a few months ago about these technological limitations of 5G technology, saying the OnePlus phone will be considerably larger due to these new components. Apex 2019 has no buttons on either side and does not seem to have any holes of any kind for speakers, headphones or charging. Unlike Meizu, however, Vivo has integrated a magnetic port for data loading and data transfer, but it will be more likely to be the owner, so its loss or damage will be very problematic. The sound is played through the AMOLED panel, while all of its surfaces can be used for fingerprint unlocking. It is the first smartphone with a full-screen fingerprint sensor. The physical buttons on the side are replaced with a tactile touch-sensitive surface, while the front camera is completely missing. The images do not show such a room anywhere, not even on the periscope sidewalks with motors like the Apex concept last year. The company is still not talking about this component. The rear cameras are a 12+13-megapixel format with an LED flash. Unlike Meizu, Vivo did not talk about water resistance or wireless charge. 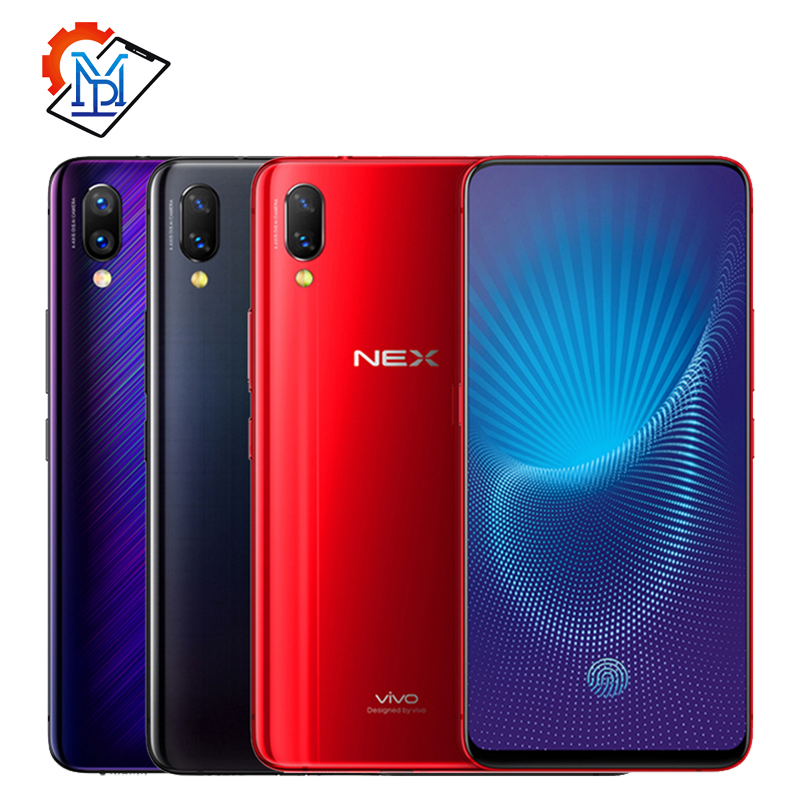 Finally, at the hardware configuration level, we are dealing with a Snapdragon 855 chipset, 256 or 512 GB internal storage options and 12 GB of RAM and 5G connectivity. Full details of this device will be presented over a month at the Mobile World Congress, where we also hope to find out about the camera, battery and whether or not there is a wireless charge on this device.